Q: HOW LEVEL DOES MY LOT HAVE TO BE FOR INSTALLATION? 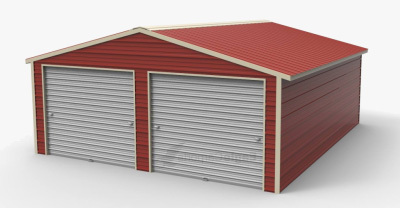 A: The location that you are planning to place the metal garage or metal carport cannot be any more that 4” off level. Q: IS CONCRETE/GROUND WORK INCLUDED IN THE PRICE? A: No, Wholesale Direct Carports does not do any ground work. The customer should have the ground level and ready for install on whatever surface the building will be placed when the crew gets there to install the custom metal building. Q: ARE DIFFERENT COLORS DIFFERENT PRICES? A: No, all colors are the same price. Please feel free to check out the colors we offer under our Color Chart tab, found under Resources. Q: WHAT IS MY BUILDING RATED FOR? A: The wind and snow rating of a building will vary according to state and customer preference. We offer wind ratings from 105 mile per hour (mph) winds to 170 mile per hour (mph) winds, and snow ratings from 35 pounds per square foot to 65 pounds per square foot. Let us know if you’re looking for a specific rating for your metal structure. Q: HOW DO I PAY FOR MY BUILDING WHEN THEY COME TO INSTALL? A: Acceptable forms of payment at install are a certified cashier’s check or a debit/credit card. (Please note, when paying with a debit/credit card, there may be a card fee). Q: CAN I USE MY TAX EXEMPTION NUMBER? A: Yes, we can accept your tax exemption number, we will just need a copy of your number with the tax exemption form to send in with your order! 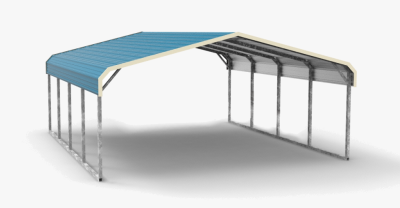 Q: DOES WHOLESALE DIRECT CARPORTS OFFER BUILDING INSULATION? A: Yes, we do offer insulation in all of our buildings, prices may vary by state, so if you are interested in this please let one of our experienced sales representatives get that price for you. Q: DO I NEED TO GET A BUILDING PERMIT? WHEN SHOULD I GET A PERMIT? A: Some areas require customers to obtain a building permit before the installation of a metal carport or building. We, at Wholesale Direct Carports, do not pull permits for customers. This responsibility will fall on the customer. Please check with your local county or city to see what building requirements or permits are required before the building is brought out to be installed. If you need generic drawings to obtain a permit, those can be provided in most states. If your county/city requires engineered drawings, those can be provided to you at an additional cost. Q: DO YOU OFFER COLOR MATCH? A: Yes! We offer a color match option. There is no additional charge for this.